Update: Subdivision Infinity is out now and you can read our full review here. 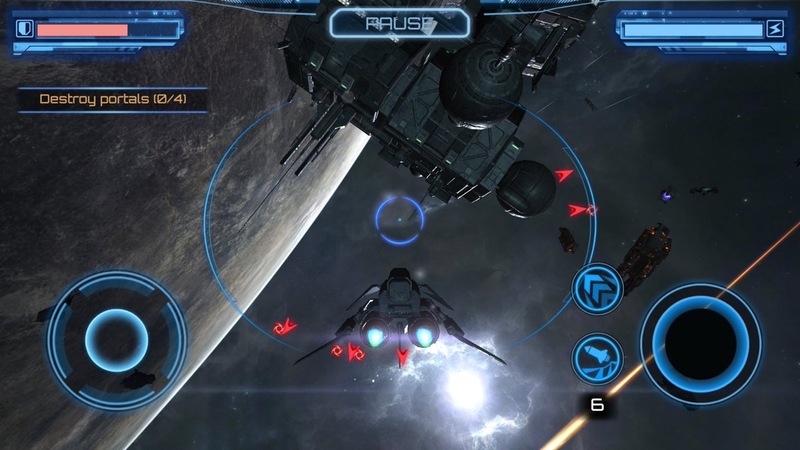 Original Story: Subdivision Infinity sounds more like maths homework than a 3D space shooter. Nonetheless, a 3D space shooter it is, and a very nice looking one at that. This is the third in a trio of games that I learned recently are headed to Apple TV. The first – Morphite, which I wrote about here – is a game I’ve been following for a while, as it’s looking like a great way to kill some time on mobile. But when I discovered it’s on its way to ATV, my interest skyrocketed. It’s definitely looking like a fully-featured sci-fi adventure that deserves the big screen console treatment. The second is Moon Raider, which I posted about on Sunday. I’m a sucker for a decent pixel art 2D action platformer, and what I’ve seen so far looks promising. Also, the studio behind Moon Raider – Retro Phones Games – is a team with a great track record in that genre. And that brings us back to the third game in the trio – Subdivision Infinity. From this demonstration in which Josh Presseisen showed upcoming games to toucharcade.com at GDC 2017, all the information I’ve gleaned is that Subdivision Infinity is more action and mission-based, as opposed to the more RPG-styled gameplay of Stellar Wanderer which released a couple of weeks ago. As you can see from the footage below, the graphics look impressive enough, and it’ll be interesting to line up Apple TV’s main trio of 3D space shooters – Galaxy on Fire: Manticore Rising, Stellar Wanderer, and Subdivision Infinity – and see how their gameplay stacks up against one other.